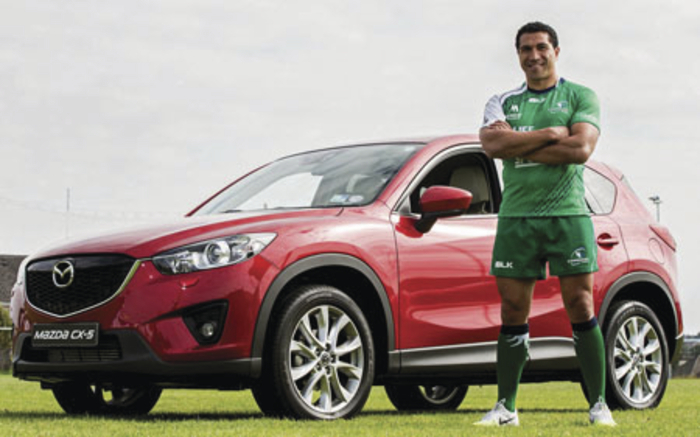 Former All Black legend and new Connacht Rugby player Mils Muliaina is the official Mazda Brand Ambassador. In confirming the continuation of its long term support of Connacht Rugby by becoming official car sponsor, Mazda has also recruited the All Black centurion as its official Mazda ambassador for the 2014/15 season. As car sponsor of Connacht Rugby, Mazda is also providing a fleet of more than 55 Mazda cars to the Connacht Rugby team. Tony Howarth, managing director of Mazda Ireland, says: “Mazda Ireland is delighted to be the Official Car Sponsor of Connacht Rugby and continuing our long term support of the team. We are also very excited about the arrival of Mils Muliaina to Connacht Rugby and his commitment to Mazda as an ambassador.